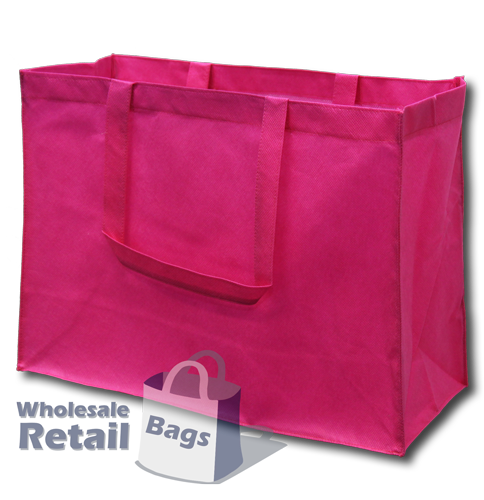 The nonwoven fashion bag is a landscape shaped bag that's popular with general retail stores and fashion outlets. Customers interested in the nonwoven fashion bag should also check out the jute fashion bag and the juco fashion bag, their dimensions are similar while being made out of a different material. While the jute and juco fashion bags are very popular, the nonwoven fashion bag comes with the advantage of being available in a wide range of colours.